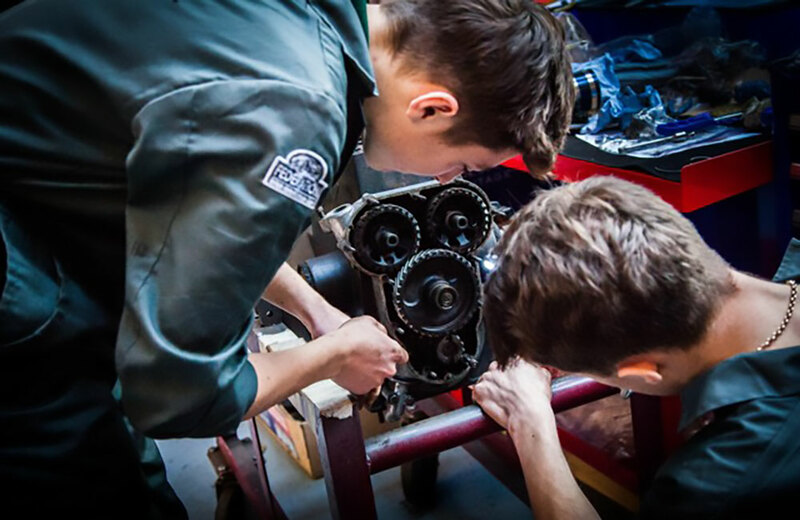 For one week every month our apprentice Finlay Fletcher heads to Bicester Heritage Skills Academy to take part in the vintage car restoration course sponsored by the Rolls-Royce and Bentley Specialists’ Association (RRBSA). 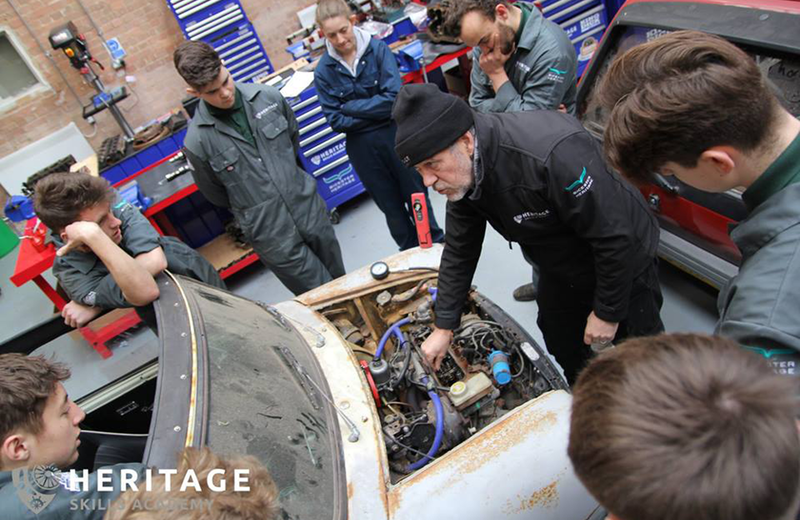 Now in its second year the course has been specially streamlined to support apprentices specialising in mechanical restoration of vintage and veteran vehicles. 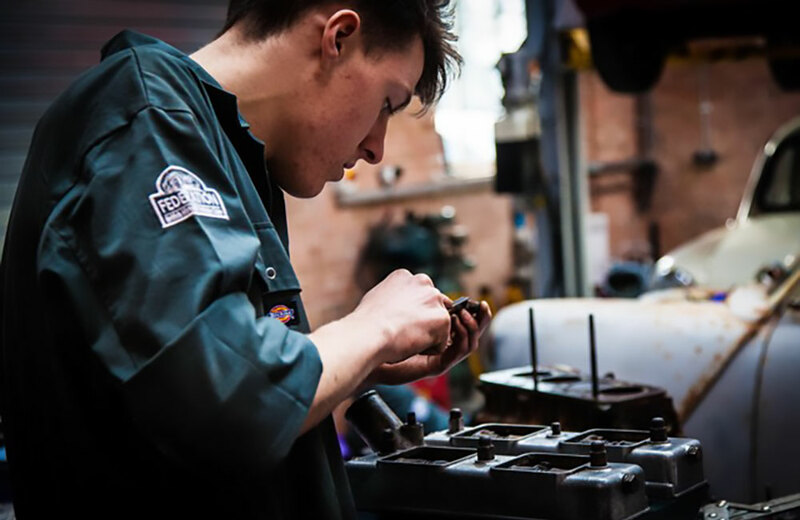 This fantastic course aims to give the apprentices a solid mechanical understanding while appreciating why components have been adapted over time. Each week the course focuses on a different mechanical element, such as lubrication systems, valve gears or fuel systems. The students are asked to compare each element with old and modern examples, and identify why the changes took place. Finlay has found this part of the course to be extremely useful for his work in our workshop and has enjoyed learning to disassemble and re-assemble many different parts. The well kitted-out hanger allows the apprentices to learn all elements of basic tooling and they have access to machining tools and a two-post ramp. 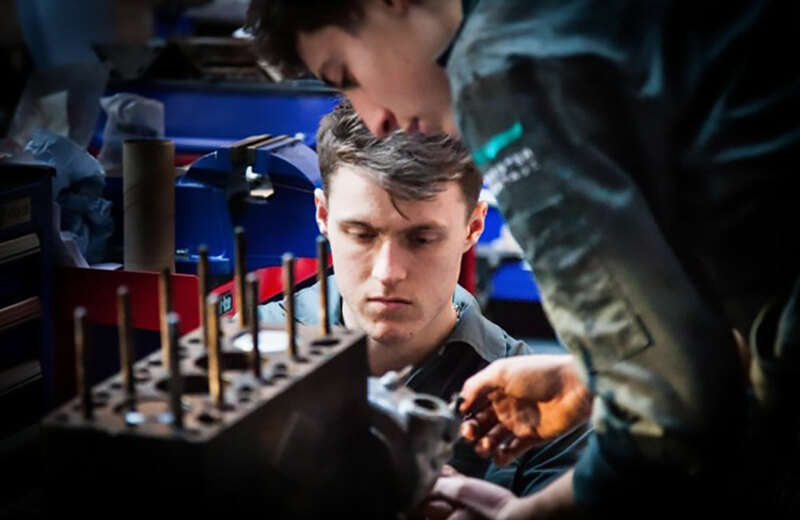 The course has kindly been sponsored by Land Rover and Jaguar who have provided the apprentices with cars such as Minis and Morris Minors, allowing them to get real hands-on experience. Currently Finlay is working on a Morris Minor, an MG Metro and a Riley engine. In order to challenge the students the cars are non-runners, and using team work they are tasked with identifying the problems. 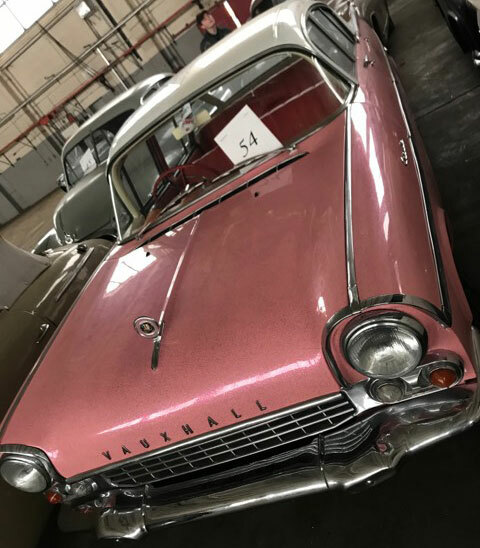 They are also encouraged to consider the general condition of the vehicles and look at them from the perspective of a potential buyer at auction. This provides the apprentices with the skills needed to analyse cars that are brought into the workshop for general restoration or a service. The ethos of the course is to allow the students to problem solve themselves, before the tutors offer advice. 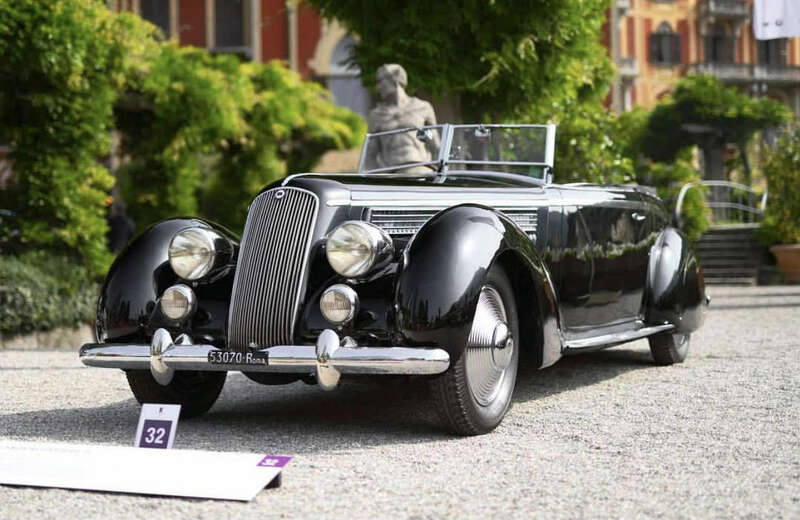 Bicester Heritage is a vast site with access to hundreds of vintage and modern cars. Finlay’s favourite project has been to research two cars that are up for auction. He chose an extravagant Vauxhall Cresta with glittery pink and pearlescent white coachwork, and a Citroen CX25 TDR. The aim of the project is to carefully judge the cars’ condition and investigate serial numbers / matching numbers. Moreover, he has been asked to research similar models in order to reach a sensible price estimate for auction. Finlay will then be invited to act as a guide for the cars on the auction day. 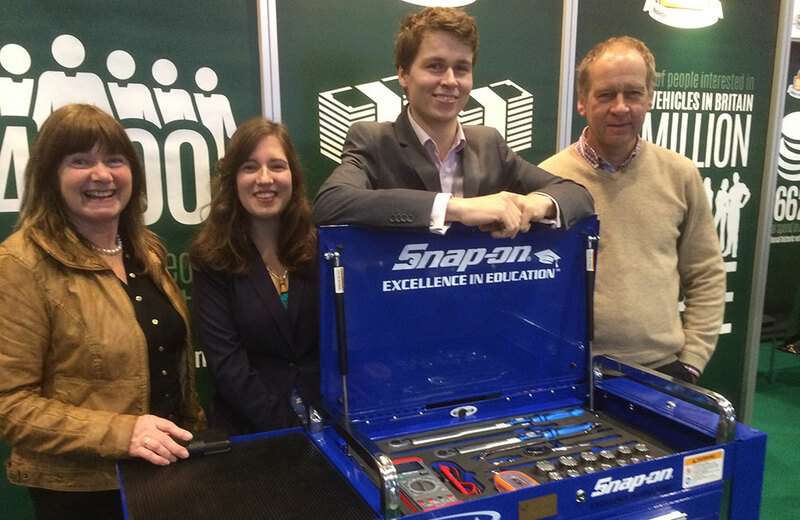 As well as providing an excellent practical education, the course creates a community among the apprentices. 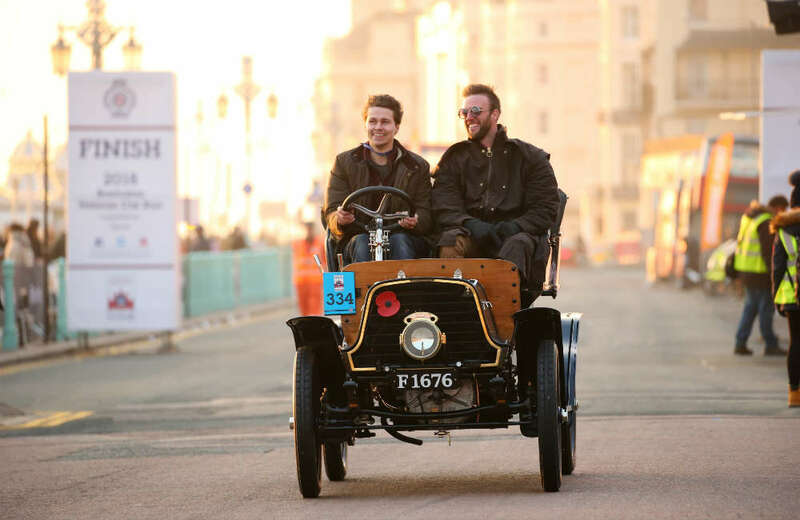 It is an opportunity to chat about the Rolls-Royce and restoration world with other like-minded young people.